We went window shopping today... for windows. In the plans we currently have drawn up, there are 50 windows which could represent 10% of the total cost of the house. That seems to us like a pretty good target if we're looking to cut costs. We knew virtually nothing about the various window options, so this was an informative morning for us. After months of scheming, we finally thought we'd come up with a floor plan that we liked. We got together with our builder to discuss the plans and to get an approximate cost estimate. During that meeting, we discussed a few things that we could do to reduce the cost. 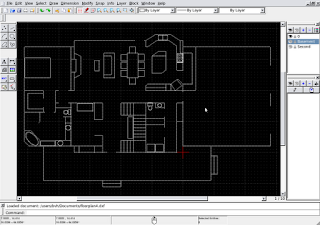 We've been making a lot of progress on our custom home floor plans lately. After making our initial edits on a white board, we got to the point where we needed to get things more to scale so we'd know what would work where. 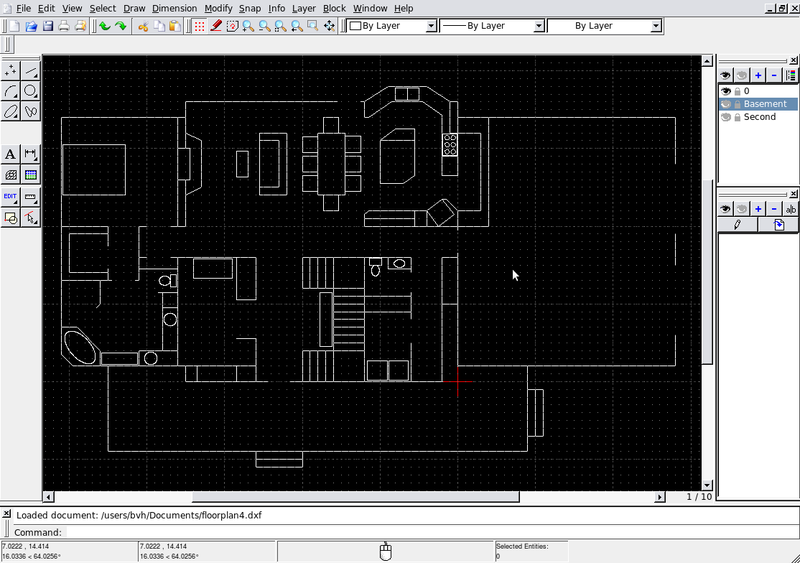 After puttering around a while searching for software that would allow me to edit plans on either Linux or Windows, I settled on using the community version of QCad version 2 and saving our plans as DXF files.